It doesn’t matter if you’ve working in a sound studio for years or you’re just starting off. You will need a good set of studio headphones to do the job. Studio quality headsets deliver crystal clear sound that is highly accurate. This is very different from the usual headphones that just claim to be of “professional quality”. 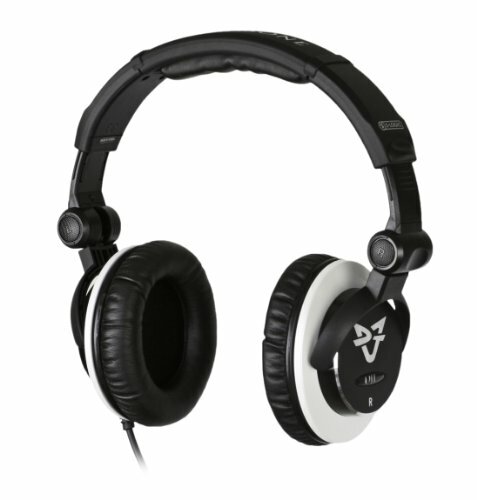 Manufacturers produce studio headphones specially designed for sound engineers, artists, etc. These headphones are used for critical listening. The goal here is not to reproduce audio that’s enjoyable but instead to create an accurate sound that reveals any errors or places that could be improved on. We’ve listed out some of the important points to note when choosing studio headphones. We’ve also narrowed down the wide selection to the best of the best studio headphones. We’ve even reviewed the top 5 so that you can make an informed decision. Application. You need to know what you’ll be using the headphones for before you buy them. If you do a lot of mixing and mastering, you will do better with a pair of open-back headphones because of the wider soundscape. The low-tones will not build up in the earcup and cause false low tones. However, if you’re using them for recording, you should use closed-back headphones that will prevent sound leakage which ends up being carried into the mic and getting re-recorded on the track. Nevertheless, there’s no need to split hairs over which type to use because you still can use both types for all applications. It all depends on how detailed you want to be with your work. Frequency Response. You want to choose headphones that will reproduce sounds at the frequencies you plan to mix them with. Bass requires low frequency while treble needs high frequency. Vocals have variable frequencies that differ from guitar or drums. So, do plan before making your purchase. Comfort. The headset has to be comfortable since you’ll be wearing it for hours while you work trying to master, mix or record an album. Check how well-padded the headphones are and test them out and see if you like the way they feel. This is our top pick because of its balanced sound and accuracy. The sound is full and the audio reproduction doesn’t get muddied when going from the high to low pitches dramatically. Since the K702 is able to deliver perfect sound, your job of arranging music is a piece of cake. You get the whole “auditorium feel” to the sound and hear what your audience will hear. The bass tones are distinct but not overpowering. 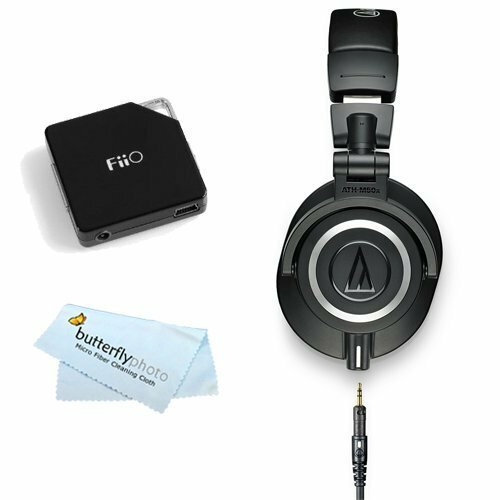 You can use these headphones for most genres of music but they’re best suited for acoustic instrument and vocals. If you’re looking for really good studio headphones with comfort, quality and high accuracy sound reproduction, the K702 is definitely the model you should choose. Yet again, this highly rated model makes the list. 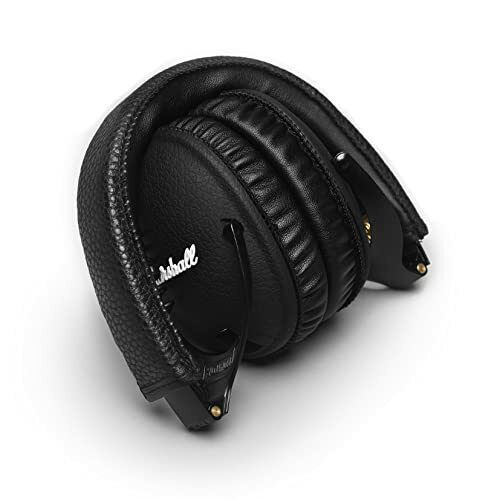 It has been featured in many of our top headphones lists because it’s simply a superb model. 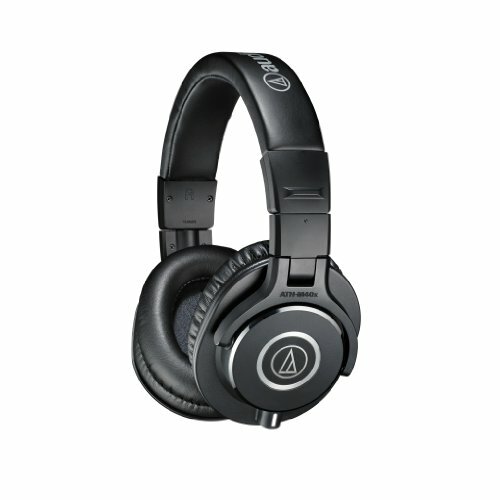 Audio-Technica is a very reputable brand and the M50x is similar to the M50 model but this one has more superb features. Suitable for most genres of music, the ATH-M50x’s has a good punchy bass that is just right. It has a wide midrange that allows it to cover a broad sound spectrum. The trebles are clear and if you want headphones for critical listening, the M50x definitely does a great job with its highly realistic sound reproduction. The contoured ear cups are different from the conventional flat type and because of this, the earcups are snug, create a nice good seal around the ear and provide good noise isolation. They’re highly comfortable and feel very natural too. You get 3 cables of different sizes. 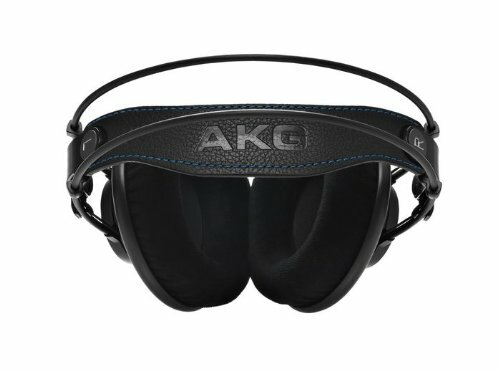 Audio Technica wanted these headphones to be of use to mobile producers. So, now you can use them on a wide range of devices without worry. Since they’re detachable, they will not get shorted or twisted easily. Coming in at second place on our best studio headphones list, you can’t go wrong with this set. It has everything you could want in a pair of studio headphones. Considered by many to be one of the best studio headphones on the market, the Ultrasone’s DJ1 definitely does not disappoint. We were blown away by its articulate sound and sturdy feel. On initial appearances, this looks like a bulky set. However, once we held and wore it, we discovered that it is surprisingly streamlined to fit your head perfectly. The smooth cans fit snugly and securely. Everything feels sleek and there are not protruding parts. The only drawback we found was that the padding could have been a little softer. But that’s still not a deal-breaker in our books. The DJ1 has a much wider soundscape than is seen in most close-back headphones. The reason for this is the way Ultrasone uses its S-Logic Technology to place the driver in a way that directs the sound towards your outer ear. By not directing the sound straight into your ear canal, it creates a sound this reflected naturally and this also protects your hearing because the sound pressure is not constantly assaulting your eardrums. These headphones are more suited for genres such as dubstep, rock and hip-hop because the bass frequency is stronger than the previously mentioned models. The sound is balanced and pleasant but the slight emphasis on bass makes it favor these genres. If you’re an audiophile with a preference for strong bass, the DJ1 by Ultrasone is the headphones for you. The ATH-M40x is an affordable headset that has good audio reproduction, a neutral soundscape and a simple but study construction. Audio-Technica has dispensed with the frills and opted for a minimalist look and a focus on function instead. The headset has nice, soft cushions that make it comfortable to use during those long recording studio sessions. The construction is strong because of the stainless steel pivots used in the headband. The detachable cables also mean easier storage. The bass is punchy and the lows pulsate well without muddying the sound. You also get crisp and clear vocals and highs without the sound being brassy. This headset has a good mid-range and for its price, it has great sound quality. If you’re a beginner and doing your own mixing and mastering, the ATH-M40x from Audio-Technica is good investment as an entry level studio headphones. You can even use them at home for leisure too. This model is Marshall’s first attempt at producing over-ear headphones. It’s a good attempt too. Marshall’s sound products and accessories are used by sound engineers, artists and musicians all over the world for years. This is a top of the line brand. The construction is sleek and mostly made of metal. The detailing and brass fittings give it a stylish appearance and also make it highly durable. This is a fully collapsible unit that can be packed and transported very easily. This is a very comfortable headset. The ear cups are well-padded and the plush leather headband fits perfectly. You will barely feel this headset on your head. An interesting feature is that the cursive white logo that is a Marshall trademark is displayed on the earcups and reminded us of the classic amplifiers. This was a nice touch that we weren’t expecting. The sound quality is strong and powerful. While it’s not heavy on the bass, it’s not flat either. You have the ability to increase the treble by removing the filters that are behind the cloth which covers the cans’ interior. This will make the vocals and trebles more pronounced. This is a pair of headphones that definitely lives up to the Marshall reputation for quality and style.